In early March, H.J. Martin and Son Interior Designer Meg Foster had the wonderful opportunity to travel to White Sulphur Springs, West Virginia and The Greenbrier Hotel to learn about the world of design and decorating from renowned Interior Designer Carleton Varney. 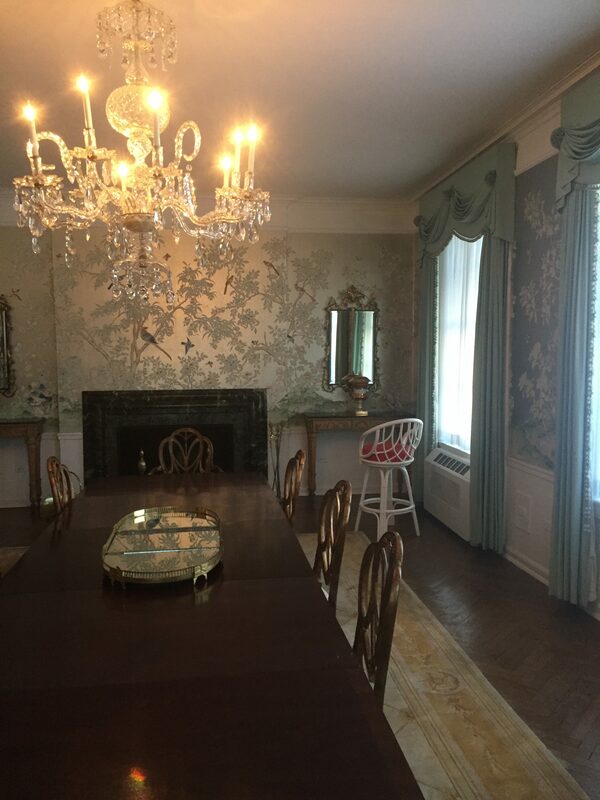 Varney is president and owner of the Dorthy Draper & Co. Inc. interior design firm. The company is named for Dorothy Draper, one of the most highly respected women in the profession of interior design from the 1920s-1960s. Philosophies for both Draper and Varney, in terms of design, includes everything bright, beautiful, adventurous, full of color and contrasts. 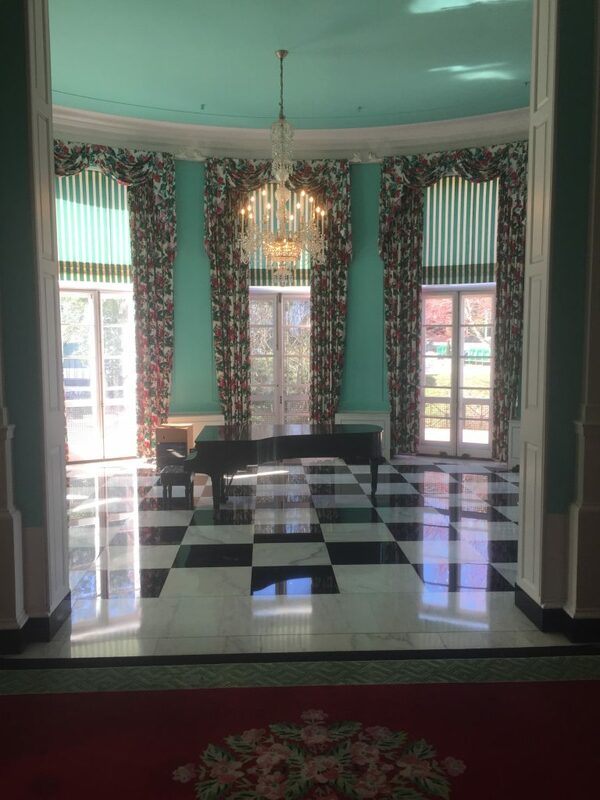 Varney has decorated for an array of impressive clients and is associated with the restoration and decoration of many hotels all over the world, including The Greenbrier Hotel. 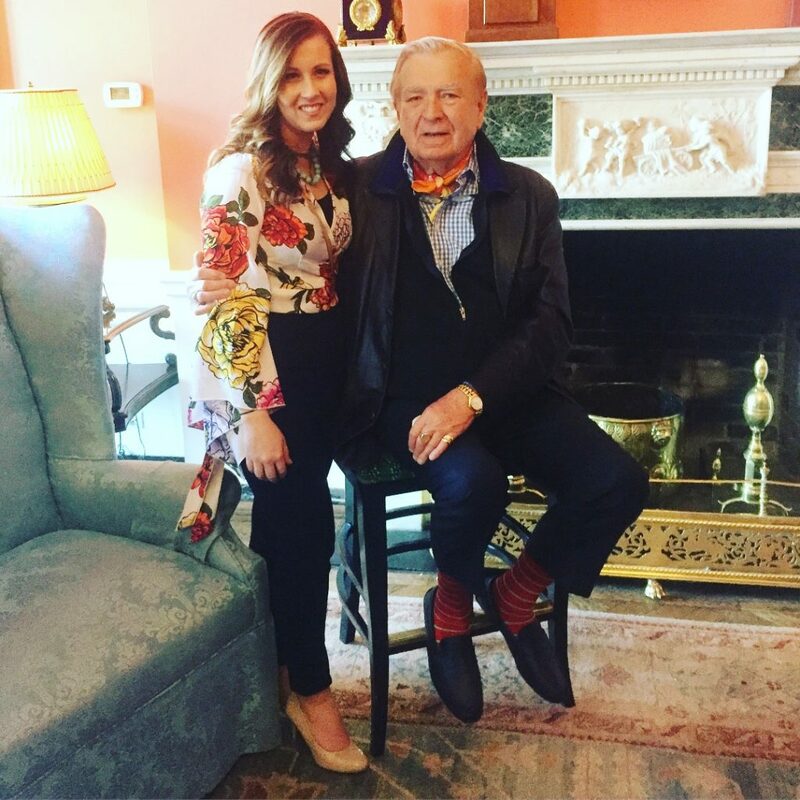 During the weekend, Foster and other interior designers from throughout the United States learned from Varney, about his life, his career and the intricacies of his design philosophy. Some of the fascinating stories Varney shared included decorating for his different clientele over the years of his career. 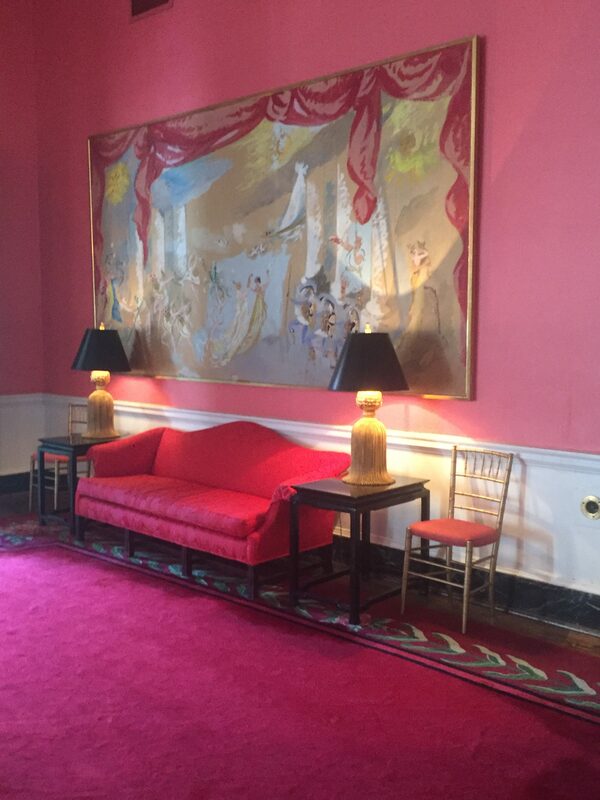 During tours of the hotel and speaking sessions, Varney described and pointed out one of his rules in his design work; to use at least one color in every space of the home to create a melody that carries throughout. Foster said, for example, this could be the color of the pillows in one room, the drapes in the next and the carpet in the next. According to Varney, this helps create a pleasing flow from room to room, assisting in pulling the home together. H.J. Martin and Son Interior Designer Meg Foster with Carleton Varney. One of the biggest lessons Foster said she learned from Varney was about working with customers and designing each one a completely customized space that is cohesive and beautiful. “Carleton talked to us at length about truly getting to know our customers. To design the best space for them and their family, we need to learn about how they live, their habits likes and dislikes,” Foster said. Another interesting idea Foster learned more about was how even changing one thing in a home, can be a shock to people. “We have to communicate to our customers that new flooring in a home they have spent the last 10 years in, will be different and will take some getting used to,” Foster explained. She said customers will sometimes second guess themselves on their flooring choices, but after they get used to the new aspect of their home, they are always happy. 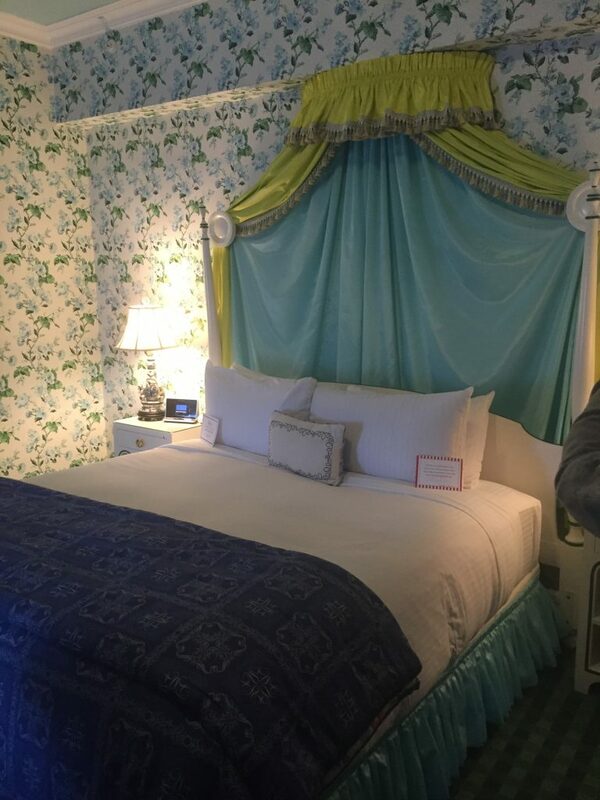 Varney also talked at length about The Greenbrier Hotel itself, sharing that the design and decor of the hotel have not changed throughout its history. The idea, Foster explained, is that guests of the hotel and other hotels expect things not to change each time they visit. They expect it to stay the same, as they have associated wonderful memories with the space as it was when they visited the first time. It’s a lot like the feeling of coming home after a long time away. Foster said the overall weekend learning from Varney and his associates was a truly wonderful opportunity and will better help her serve customers of H.J. Martin and Son. For more information about how H.J. Martin and Son can help you find the perfect design for your home, visit us online at www.hjmartin.com or contact us here.